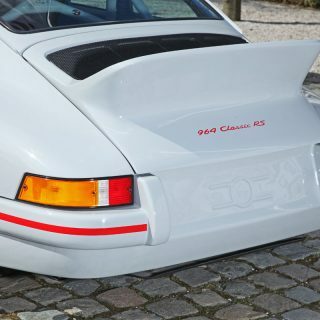 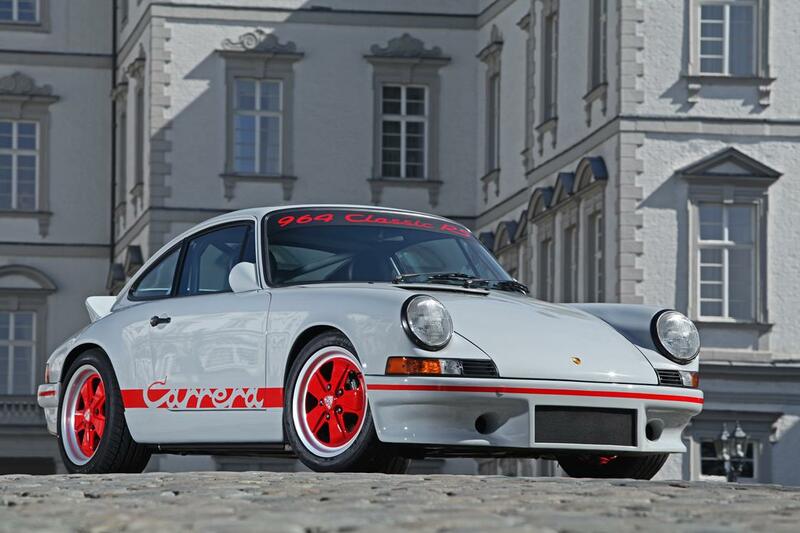 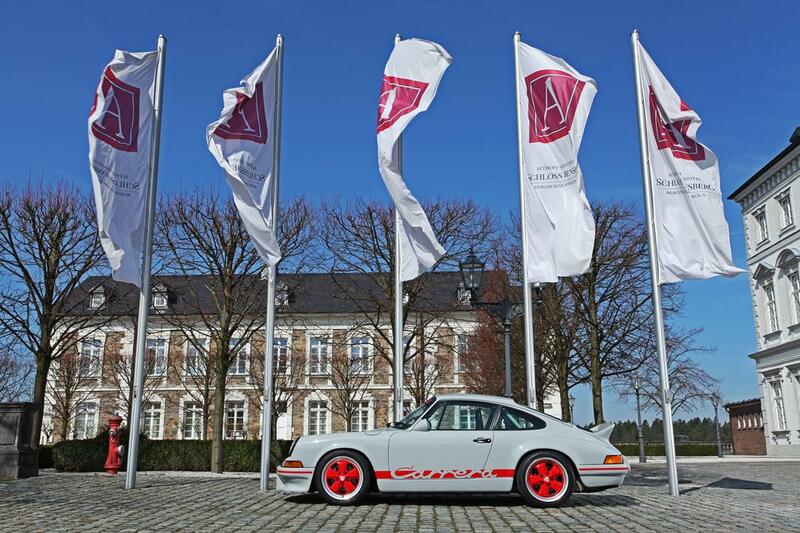 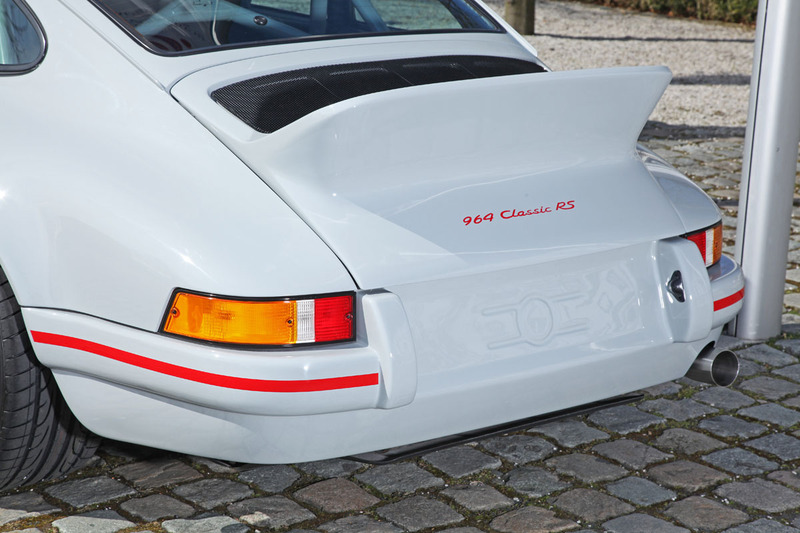 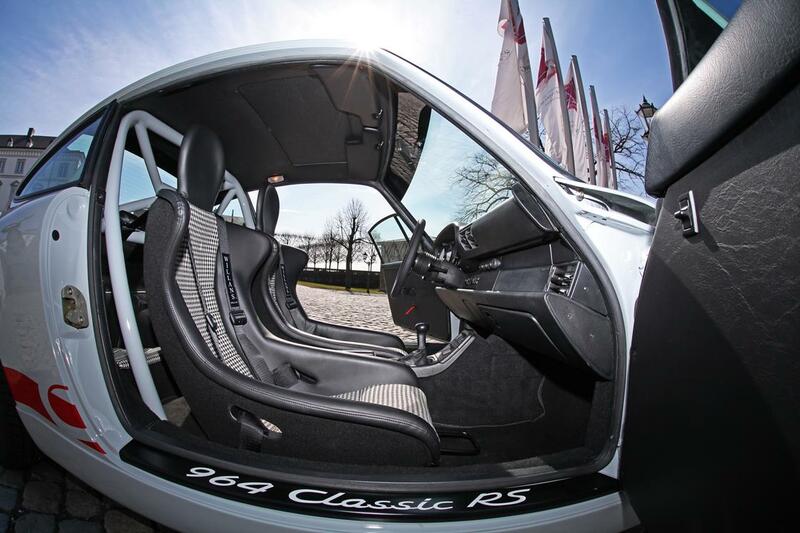 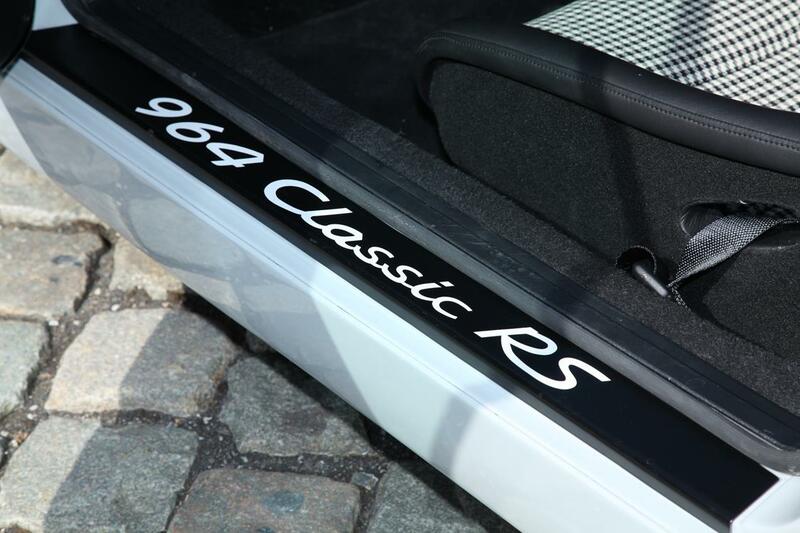 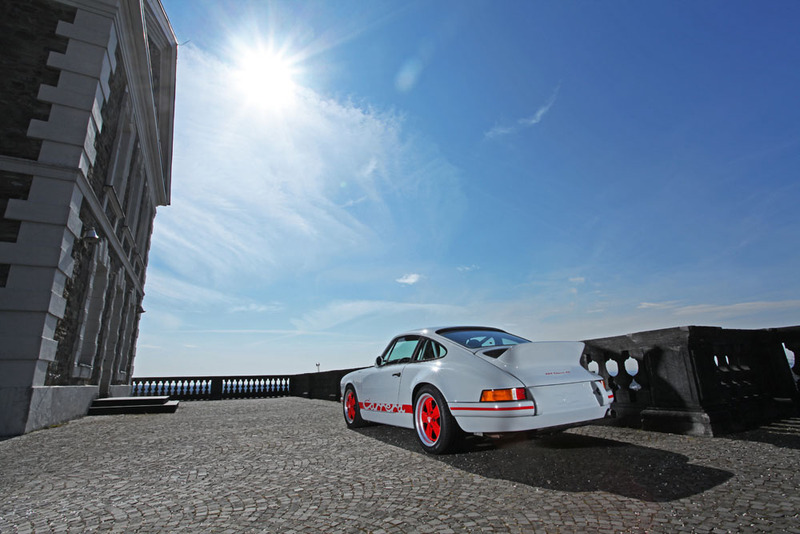 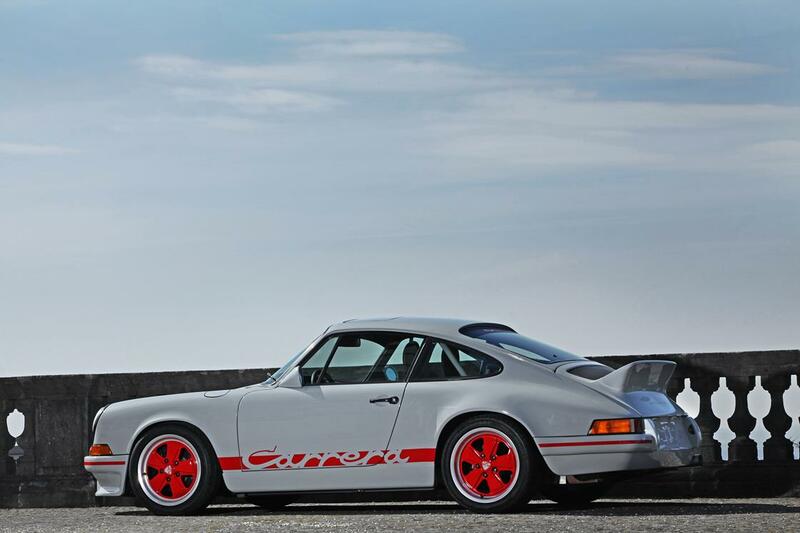 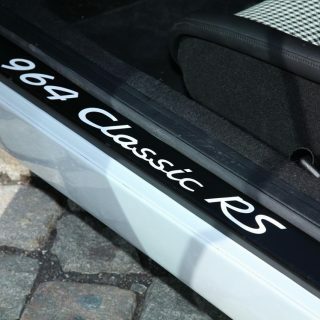 The Classic RS kit is presented on a 964 that was first authorised in 1993. 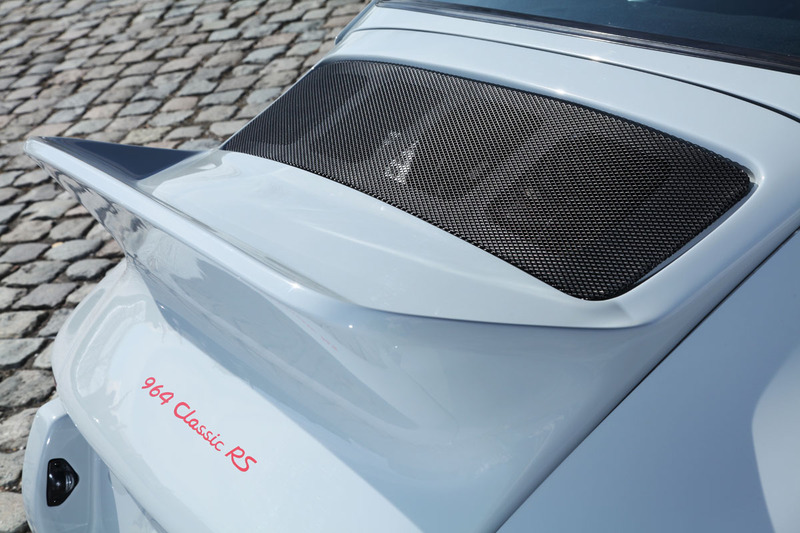 It comes in classic sports grey with discreet detailing in Indian Red and a slightly increased performance (from serial 250hp to 280hp). 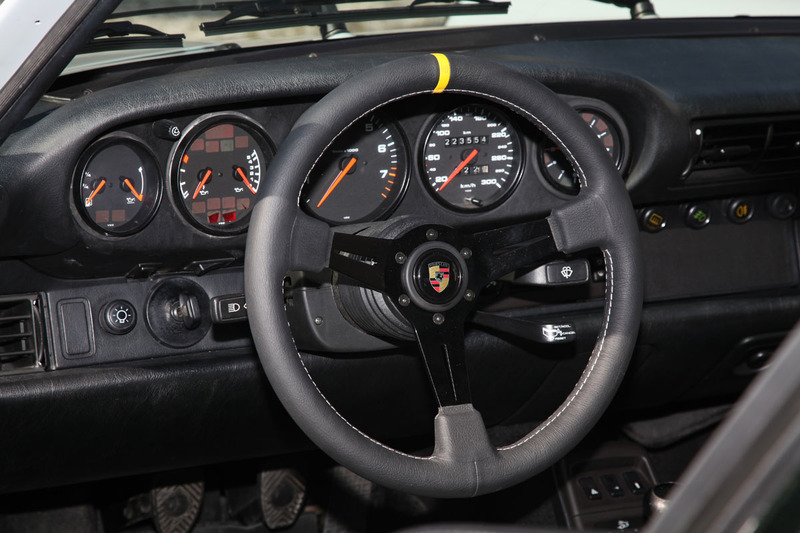 Compared to the original 1973 specifications it offers upgraded modern suspension, modern driving aids such as ABS, power brakes, power steering, a catalytic converter, smooth running and precise gearshift, improved power and last but not least air conditioning. 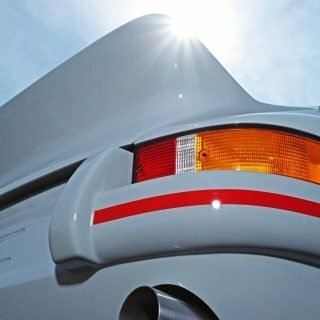 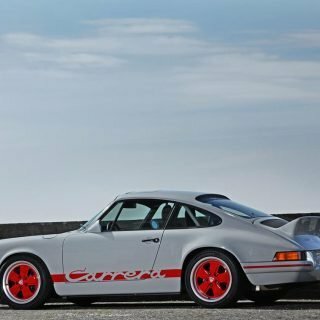 All of which means that it is no longer an impossible dream to drive a Classic 911 with all the comfort and efficiency of a modern 964. 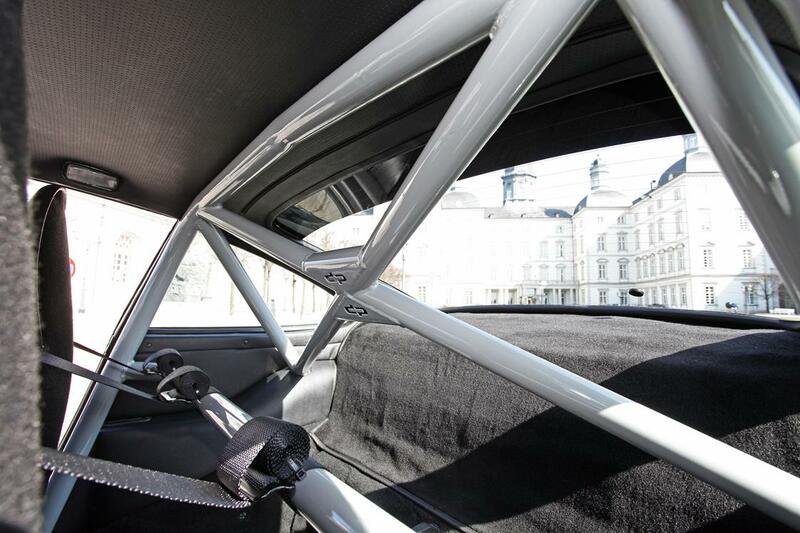 The conversion kit is offered at prices starting from EUR 6.828,00 (inc. VAT). 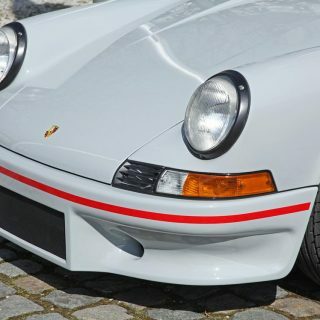 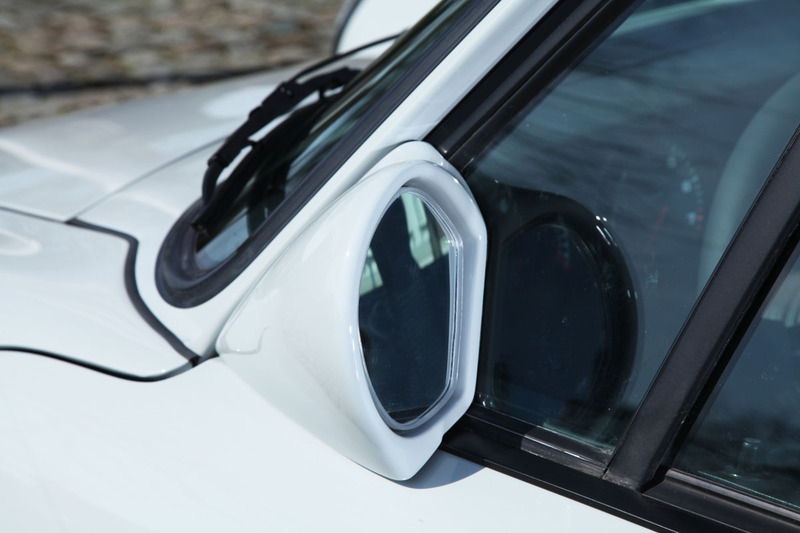 The kit includes the front hood and bumper, fenders and side sills, rear bumper and spoiler, lens cover for indicator and grill, all necessary adapters and brackets, as well as the polished stainless steel tailpipe of the exhaust system. 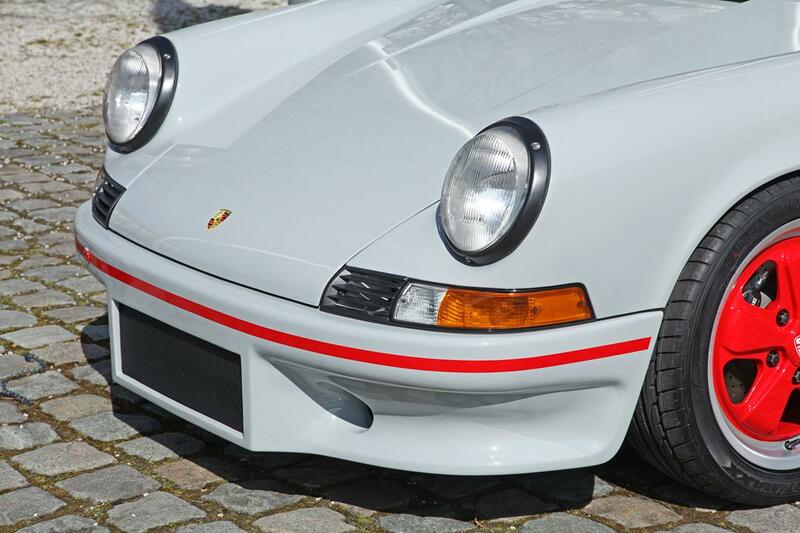 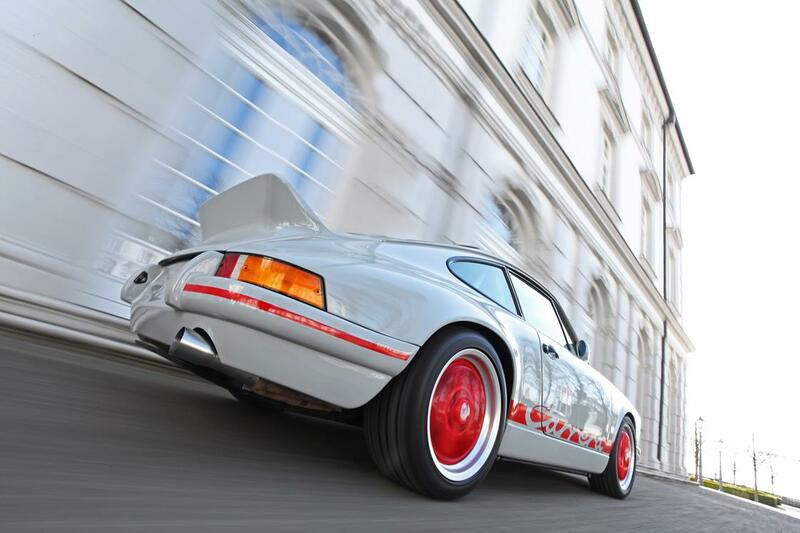 A special “Wide Conversion” to the 2.8 RSR is offered too. 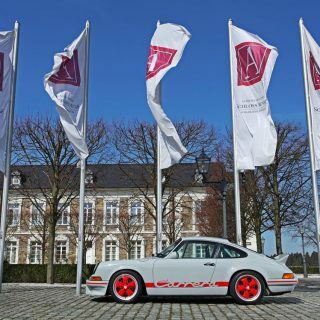 Contemporary Fuchs wheels (7×17 ET55 on the front axle and 9×17 ET55 on the rear axle) are vailable at the price of EUR 2.236,00 (inc. VAT); a performance increase of 22kW (30hp), including a 100 cell catalytic converter, K&N Air filter and test bench balancing for EUR 2.618,00 (inc. VAT). 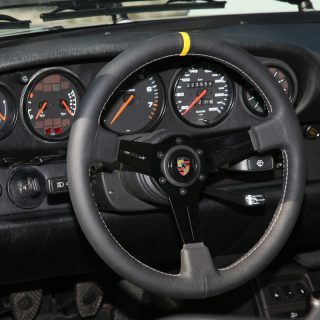 Prices for modifications and improvements to the interior are available upon request. 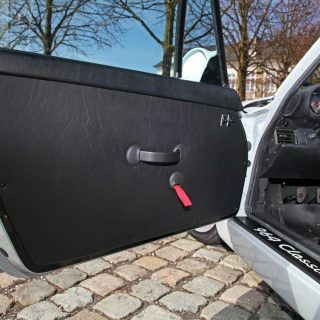 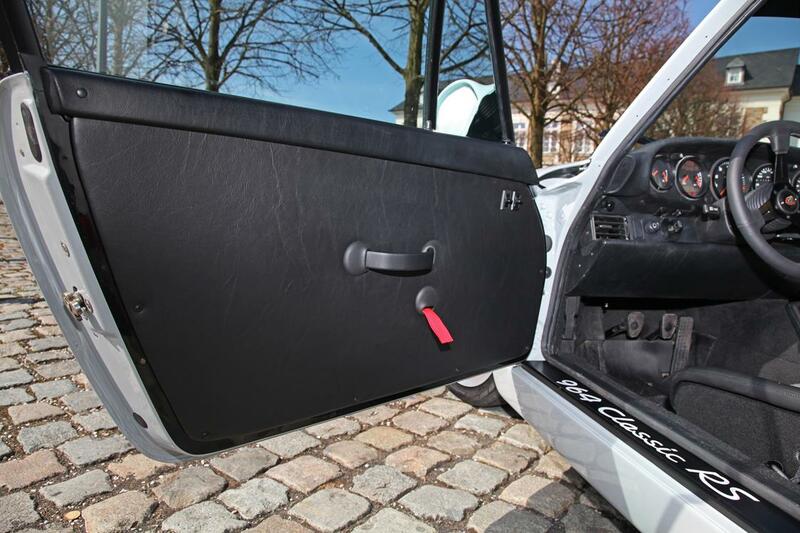 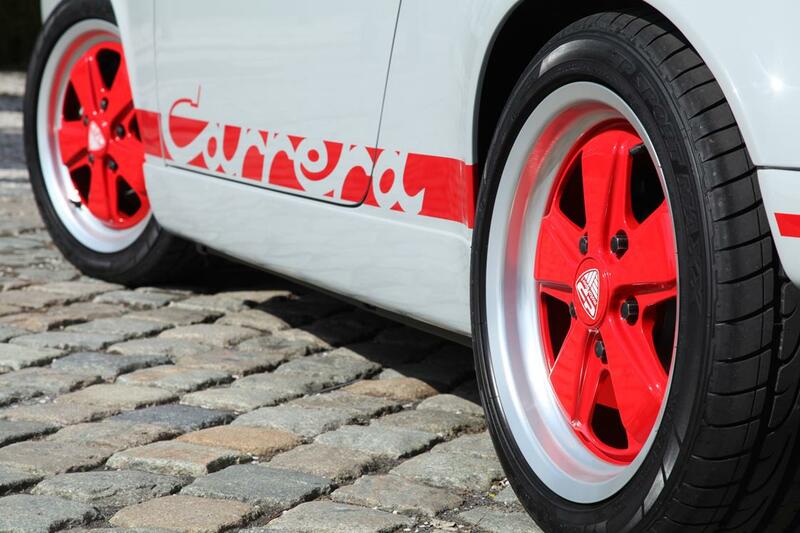 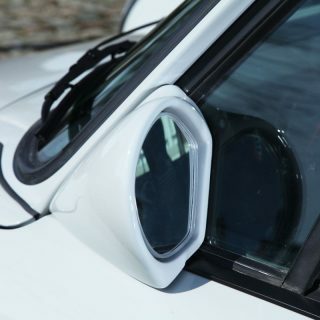 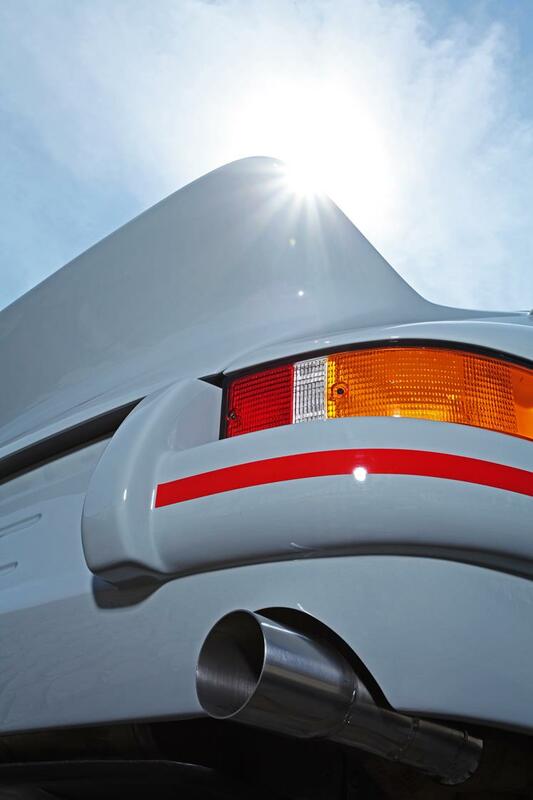 Changes to the paintwork after remodelling are offered as well as the acquisition of a basic car.